The company, along with client Bridgestone Americas, wins in the Instructional/Training Video category at the Summit Emerging Media 2017 awards. 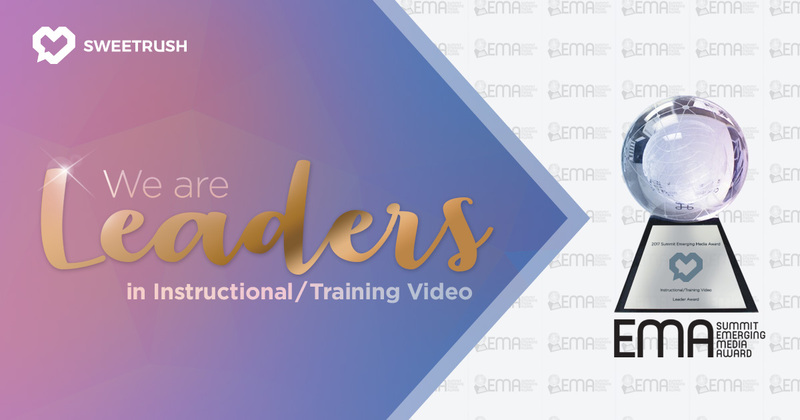 SAN FRANCISCO, CA, March 12, 2018 — At the recently held Summit Emerging Media 2017 Awards, SweetRush, along with partner Bridgestone Americas, was honored with a Leader Award in the Instructional/Training Video category. The winning learning program is a series of technology training videos featuring custom 3-D characters and animation designed for sales associates. These videos combine storytelling, humor, and character development to help associates learn about the innovative technology in Bridgestone tires. The Summit Emerging Media Awards are devoted to projects that push the bounds of creative excellence in all newer forms of emerging media. Judges focus on method, innovation, and overall appeal. A complete list of winners can be found at www.summitawards.com. Over the past 24 years, the Summit Award organization has established itself as one of the premier arbiters of creative and marketing excellence. The Summit Emerging Media Award evolved through a need to recognize and celebrate creativity, innovation, and those pushing the bounds of creative excellence in all newer forms of emerging media. Traditionally, advertising has focused strictly on the big idea. Today, advertising needs to break new ground to keep up with the ever-changing pace. This award recognizes communications that keep pace with our times through innovative use of new media.